A kinetically charged collision of opposing energies, a slow awkward explores the duet of feminine and masculine that exists within. 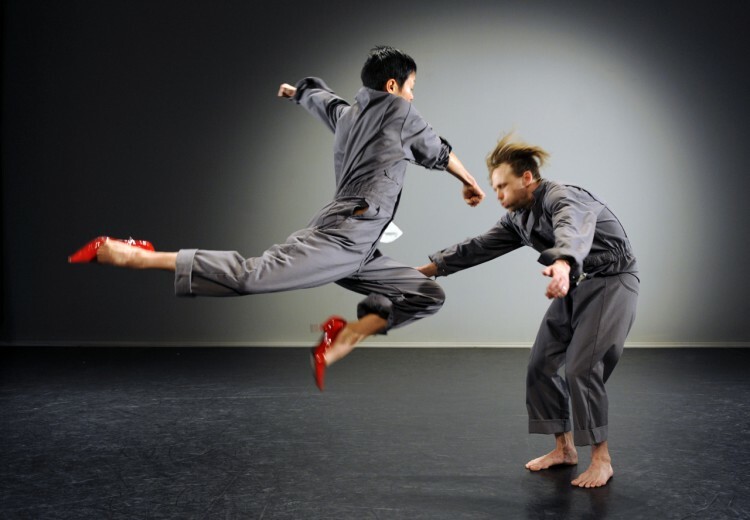 Choreographed by Ziyian Kwan, created and performed in collaboration with James Gnam, Dylan van der Schyff, Peggy Lee, Barbara Bourget and James Proudfoot, a slow awkward exposes the violence and vulnerability at times innate, to the process of individuation. PREMIERE – Five years in the making, Natalie is a solo work that considers the contrast between making and managing art. Co-created & performed by Natalie LeFebvre Gnam in collaboration with Jacques Poulin-Denis, Gilles Poulin-Denis and James Gnam. plastic orchid factory is an artist-run, interdisciplinary organization that uses the body as a site for social commentary. Established in 2008, plastic orchid develops methodologies for creation that foster engagement, play, and exploration with artists from a diversity of backgrounds and practices. Through collaboration, performance and research, plastic orchid deftly probes connections between contemporary bodies and the social, political and technological landscapes that they inhabit. The metaphor of the “Spine of Mother Earth” is a name given by Indigenous Elders in South America to the Mountain ranges that span from the base in Argentina, through the Americas and end at the tip of Alaska. This column or axis connects the people of the North and the South (the Eagle and Condor) who have traveled and communicated along this mountain range for thousands of years. The piece weaves together our deep connection to our own bodies and the earth. Our own bodies become a landscape like the mountain ranges that connects the North and South and through this we find our kinetic connection to others that transmits impulse and spirit. Performed by Tasha Faye Evans. Spine of the Mother is a collaborative research project between dance artists in Canada and Peru premiering in Vancouver, BC in 2015 and produced with the generous support of Raven Spirit Dance. NOTE: Starr Muranko will be participating in a free talkback at the Firehall Arts Centre on Monday July 7, 7pm. Read more. A member of Vancouver’s innovative & multi-disciplinary theatre community Tasha Faye Evans is thrilled to be Dancing on the Edge. Her work as a performer & co-creator includes critically acclaimed productions of Box, & Bewildered (Radix Theatre), The Beginners (Boca Del Lupo), & her own one-woman play, She Stands Still. After taking time off to raise her 2 young children Tasha is excited to be returning to her career & bridging her theatre practice with her first love of dance. As a teacher/dancer/theatre performer Tasha wishes to extend her gratefulness to her Coast Salish Land that runs strong through her blood & sings magic into her art. Huy chexw! 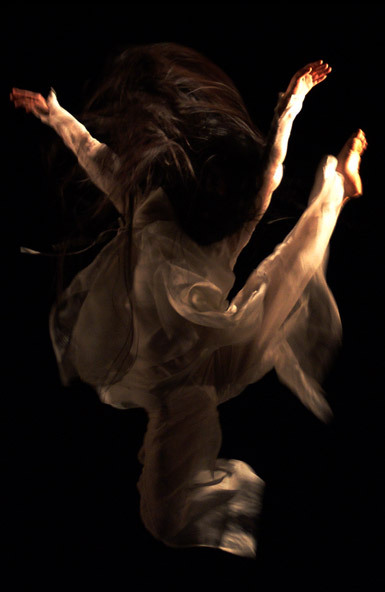 Starr Muranko – choreographer & Artistic Associate with Raven Spirit Dance. Her work has been presented at the Scotiabank Dance Centre, Dance in Vancouver, Dancing on the Edge, Talking Stick Festival & Crimson Coast Dance Society. She is a proud member of the Dancers of Damelahamid & holds a BFA (Dance) from SFU’s School for Contemporary Arts. She has presented her research at the World Indigenous People’s Conference in Education & the World Dance Alliance of the Americas. Starr celebrates & honours her mixed heritage of Métis, Cree & German in all of her work & acknowledges her Elders & mentors for their guidance, wisdom & support.